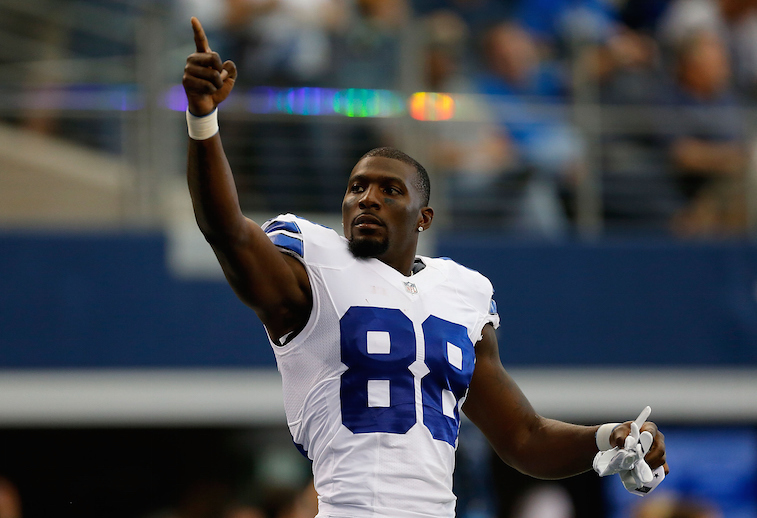 NFL: What Is a Fair Market Value For Dez Bryant and Demaryius Thomas? The clock is ticking. All NFL players who received the franchise tag from their respective teams have less than 24 hours to reach agreements and sign long-term contract extensions with their current teams. 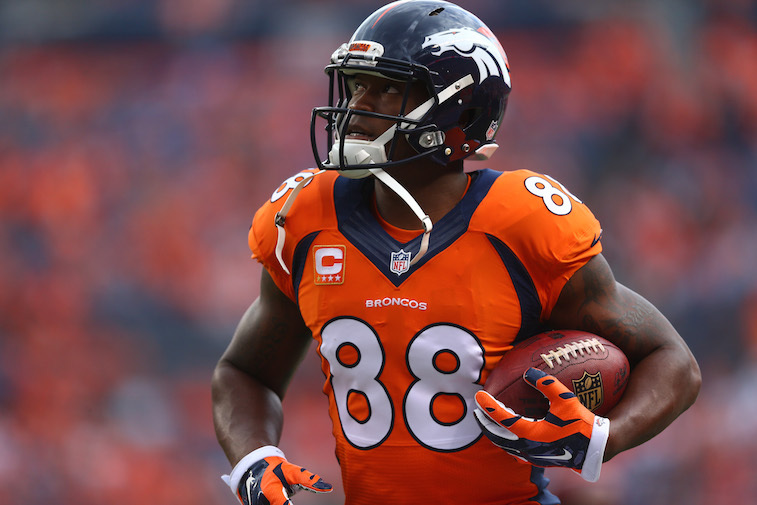 The most closely watched contract negotiations among the remaining four players who received franchise tags this offseason are those of Dallas Cowboys wide receiver Dez Bryant and Denver Broncos wide receiver Demaryius Thomas of the Denver Broncos. Part of it has to do with the fact that both players are marquee names and big-play machines. The other part of it has to do with the fact that the NFL Player’s Association has plans to pursue collusion charges against the Cowboys and Broncos if Bryant and Thomas do not receive long-term contract extensions prior to Wednesday’s deadline. The NFLPA claims to have information from a credible source that the Cowboys and Broncos have had discussions with each other about the ongoing contract negotiations for Bryant and Thomas – something that would constitute a valid collusion claim by the players’ union. According to sources, the NFLPA advised both the Cowboys and the Broncos on Monday afternoon to preserve all records of communication – emails, phone records, texts, etc. – between the two teams in the event that they need to go forward with the charges and investigation. As it currently stands, neither Bryant nor Thomas appears to be close to getting a contract extension done. Thomas reportedly has an offer on the table from the Broncos that would make the former Georgia Tech standout the second-highest paid wide receiver in the league behind Calvin Johnson of the Detroit Lions. The problem with that, however, is that Thomas and Bryant are both looking for contract extensions that are right in line with, or greater than, Johnson’s seven-year contract that pays an average of $16.2 million annually and came with $48.75 million guaranteed. We have already argued that both Bryant and Thomas deserve big paydays, but that neither player is worth the kind of money that Johnson is making. So, what exactly is the current market rate for an elite wide receiver? First things first, it’s important to point out that the market for an elite wide receiver is completely different today than it was when Johnson landed his mega-deal from the Lions in 2012. Johnson was fortunate enough to have entered the NFL before the league implemented the rookie wage scale. Had he played out his rookie deal, which would have given Johnson a cap hit of just over $22 million in the contract’s final season, the Lions would have had the option of using the franchise tag on Johnson, but that would have come with a price tag of $26.4 million. Since both figures, totaling $48.5 million, would have been fully guaranteed, the Lions did the smart thing and signed Johnson to a massive contract extension with that same $48.5 million in guaranteed money. At the time, it was the best possible financial move the Lions could have made while still retaining Johnson’s services. Bryant and Thomas, on the other hand, both entered the league in 2010 and both had first contracts that fell under the rookie wage scale. As a result, both players had their teams opt to slap the relatively modest wide receiver franchise tag of $12.83 million on them when their contracts expired after the 2014 season. Furthermore, the franchise tag number for both players would be $15.39 million in 2016, which is another fairly reasonable number. Just as a refresher, the Cowboys and Broncos basically have the power to hold Bryant and Thomas hostage through the 2016 season. The teams have the option of using the franchise tag for two-straight seasons, and there is nothing that the players can do about it. Will either player sign for this type of money? Only time will tell, but for now the odds are stacked heavily against either player signing a contract extension before Wednesday’s deadline.